This custom built home in Popular Grove is a beauty. It is located on Hole #3 of a Sam Snead designed golf course. This home is a quality built home with Pella windows, 4 zone heat pump with back up gas heat (500 gallon underground propane tank), solid cherry cabinets and granite tops in Kitchen, a 10 zone irrigation system, central vac. 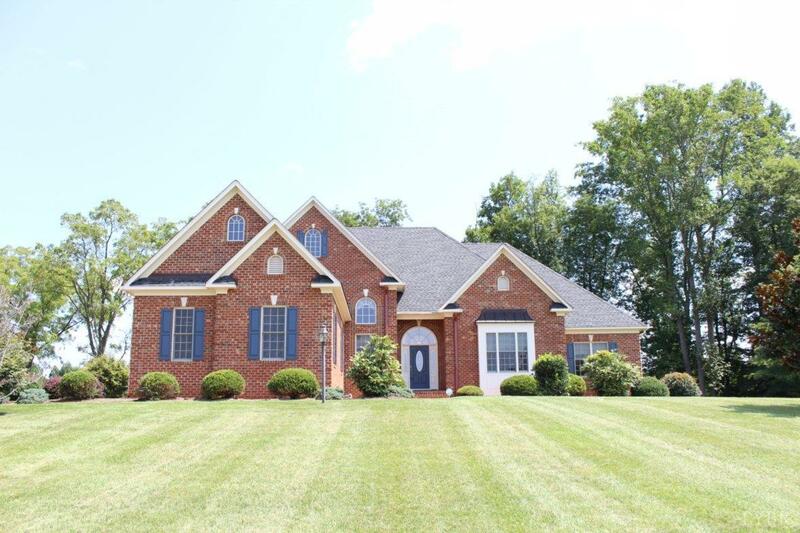 This home has a wonderful floor plan with very large master bedroom/master bath, a beautiful formal dining room, a large den and a sun porch that overlooks a beautiful back yard. This home has so many amenities, that it is impossible to list them all! An extra lot is available next door!